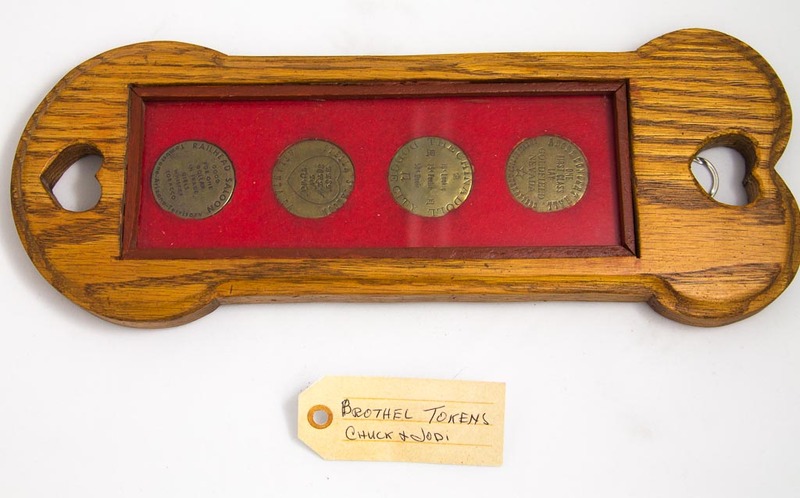 Brothel tokens | That Belongs in a Museum! These are brothel tokens. One says “Good for all night.” One says “For a first class lay…” I actually got these from my fiancé, before we were married… I’ve got these but I never redeemed them. [Wife from audience] “You can’t now!” That’s right, I can’t now.